I’m turning the calendar to October and I couldn’t be happier about it. I love fall. What a great season! I have been thinking about fall foods – what I want to make and eat and blog about. My list of things to cook includes: all things pumpkin, ginger, sweet potato, and comfort. I’m wishing for lots of time in the kitchen to make some of these things. 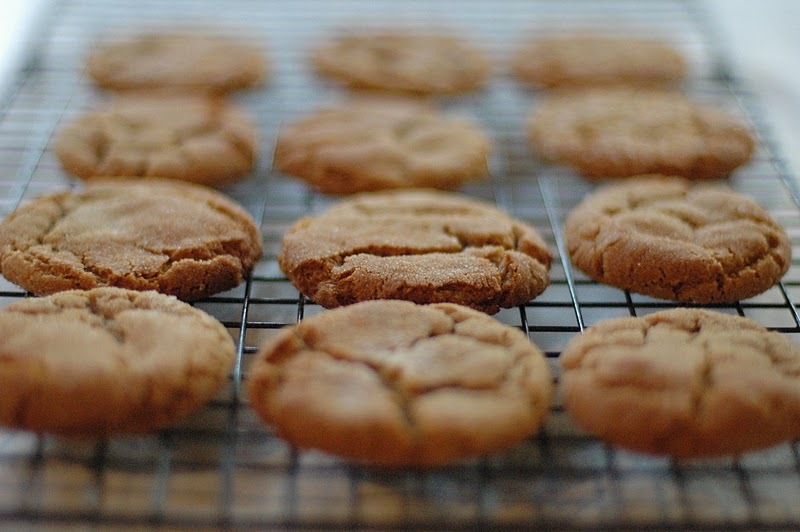 I decided Ginger Snaps should start the season because this recipe is so very amazing and I think you should have it now so that you can make it as many times as you can in the next few months. Because when February rolls around, you might be ready to move on to chocolate and valentines. Now, I have to confess that the idea of Ginger Snaps was never appealing to me. They are one of those foods that I had stereotyped. I am teaching a course this semester called Exploring Human Diversity (I am a professor of social work when I’m not baking, blogging and mothering). We have been discussing stereotypes and seeking to courageously face them in ourselves so that we can dismantle them in our lives and grow beyond them. So, admittedly, one of my stereotypes (albeit inconsequential compared to other more destructive ones I am certain that I harbor) has been against Ginger Snap cookies. In my mind they have always been a hard, stale, dark molasses cookie that was found in a box on a shelf and really didn’t deserve the title of cookie. I mean, cookies are a pretty special category, if you ask me. I thought of them more like molasses disks. I even bought the ones once that were packaged in a cute kraft brown paper sack, since I’m a sucker for packaging and somehow thought they must be homemade-tasting if they were in that fun sack. Not so. 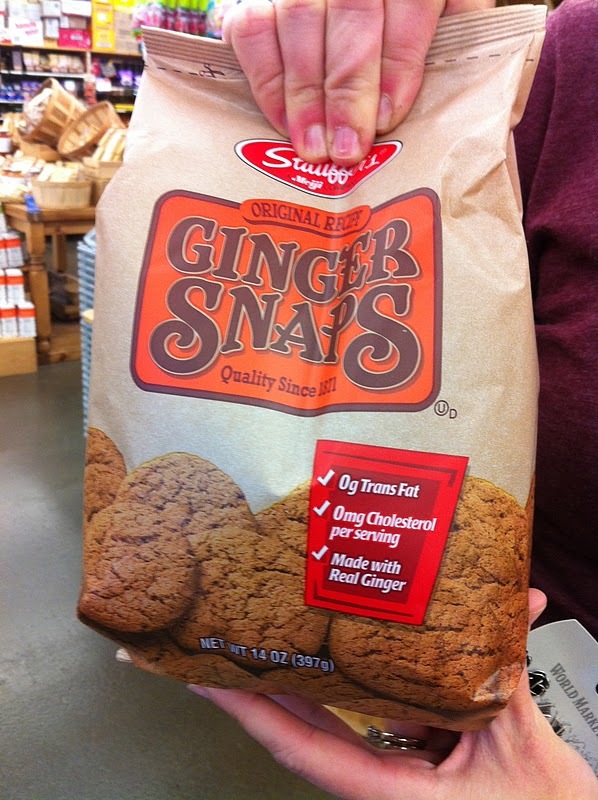 This just reinforced my stereotype about Ginger Snaps. So I wrote them off. Not worth the calories. And certainly Dave wouldn’t go for them, as he is majorly biased towards soft cookies. 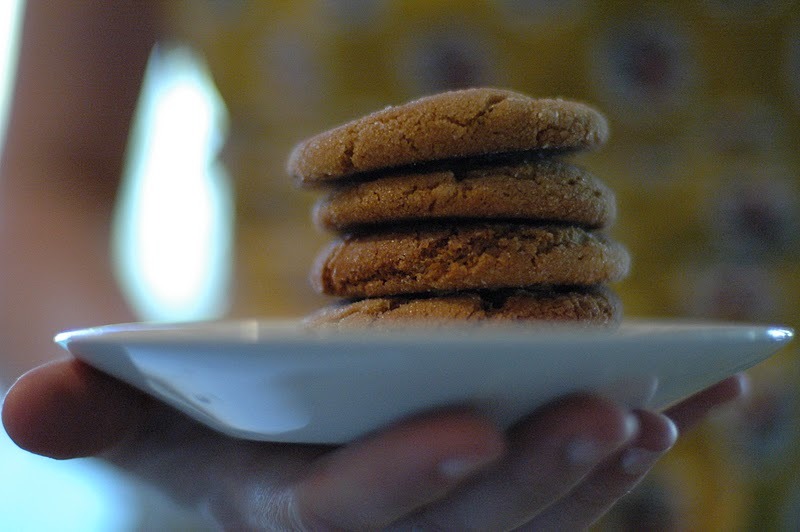 And then, my friend Lisa, brought freshly baked Ginger Snaps to an event and they were so beautiful – like little puffy, intricately cracked, sugar-coated, round treasures. I had to pick one up and hold it in my hand and then I had to taste it. In that moment my stereotype was shattered. I was enlightened! It was incredible. It was chewy and the perfect amount of spicy and salty and sweet. It was unlike any Ginger Snap I had experienced. In my Diversity course, we have been discussing that the way to undo your stereotypes is to actually encounter people “up-close” and “personal” from the group about which you have made assumptions and generalizations. And indeed this remedy was true for me and my cookie issues. I discovered that not all Ginger Snaps are the same. And that day, this recipe was added to my list of favorite cookies. 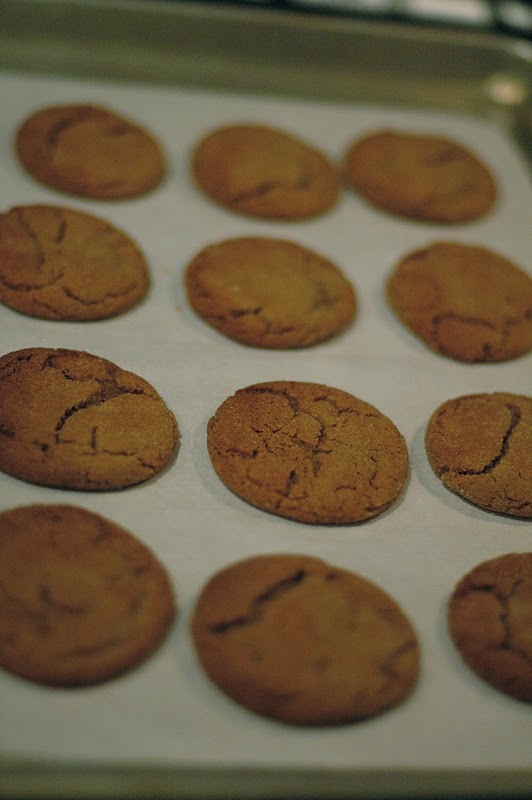 So, I encourage you, if you are like me and have some stereotyping baggage associated with hard, store-bought ginger snaps, to try this recipe. This way you can have an “up-close” and “personal” encounter with Lisa’s Ginger Snap Cookies and perhaps overcome your bias, all while celebrating the fall season! 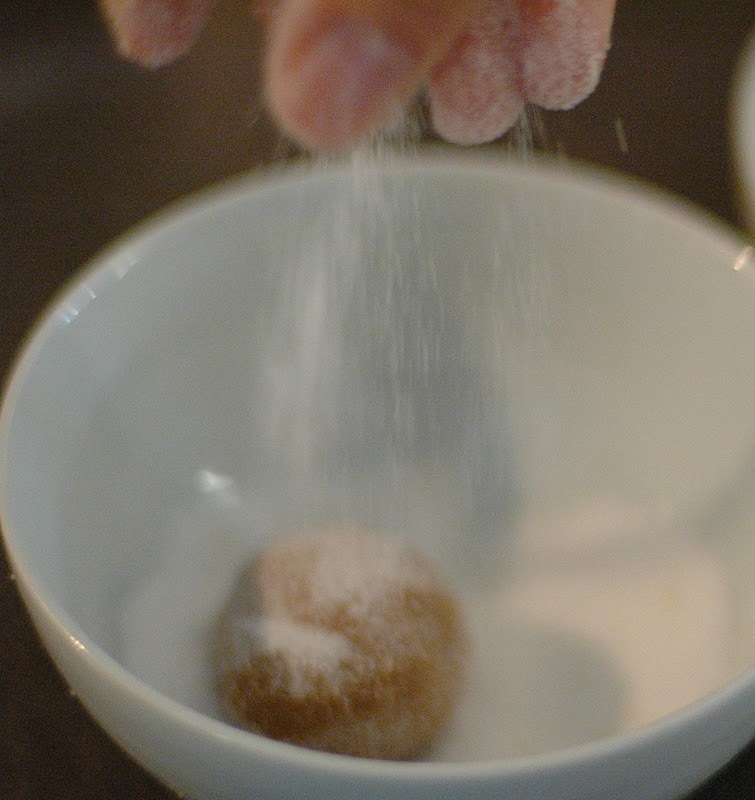 Roll in small bowl of sugar until completely coated. Place on baking sheet lined with parchment (or a greased baking sheet). (depending on the size of the balls and heat of your oven). Watch to see that they are browning just a touch on the edges and flattening. 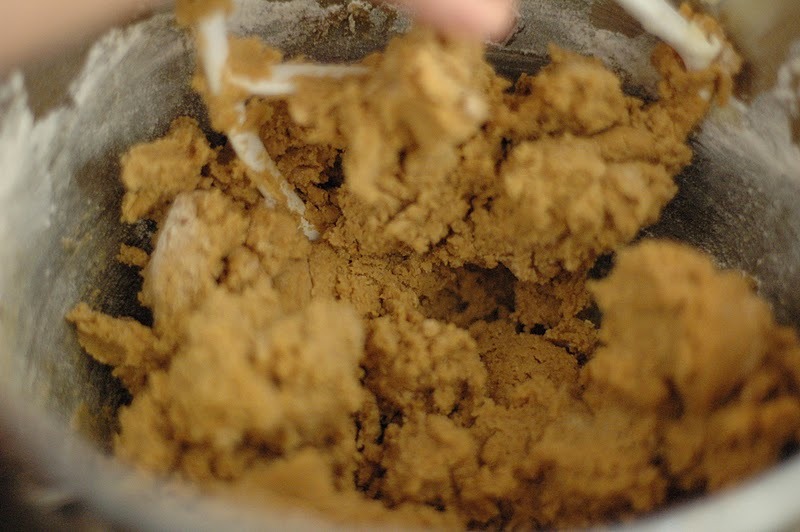 Remove from oven and let sit on pan for a few minutes – cookies will form the beautiful cracks as they cool a little. My kids were discussing Snickerdoodles versus Ginger Snaps versus Brown Sugar Cookies (from Joy the Baker that my friend Melissa brought over). Lucy, my 3 year old was discussing the nuances between the 3 cookies with Asher, my 9 year old. 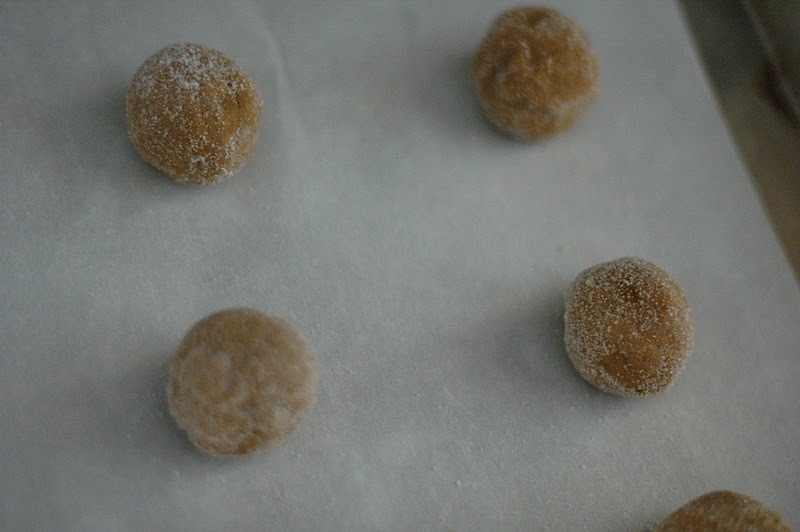 Lucy argued that Ginger Snaps were browner, and that Snickerdoodles were whiter and were sour (I think she’s right – it’s that cream of tartar in Snickerdoodles). Asher asked her how she knew this about cookies, being that she is 3 and all, to which she replied, “I’m an Expert!”. I have no idea where she learned the term, “expert”, but I think she probably is a cookie expert. Ginger snaps are definitely one of my favorite parts of fall. I cannot wait to try your recipe! My favorite part is the “Meet the Press” moment between Asher and Lainey. Cookies are worthy of discussion! I wish such nuanced debates happened on actual news discussion programs these days. Just made these for a class tomorrow- they were so good the first time I made them, so now I'm using them to butter up some classmates before a presentation! So thankful for you and your blog! So thankful for you Caroline. I actually am in the midst of late night cookie baking for my class tomorrow too! I hope your class loves your ginger snaps and your presentation!